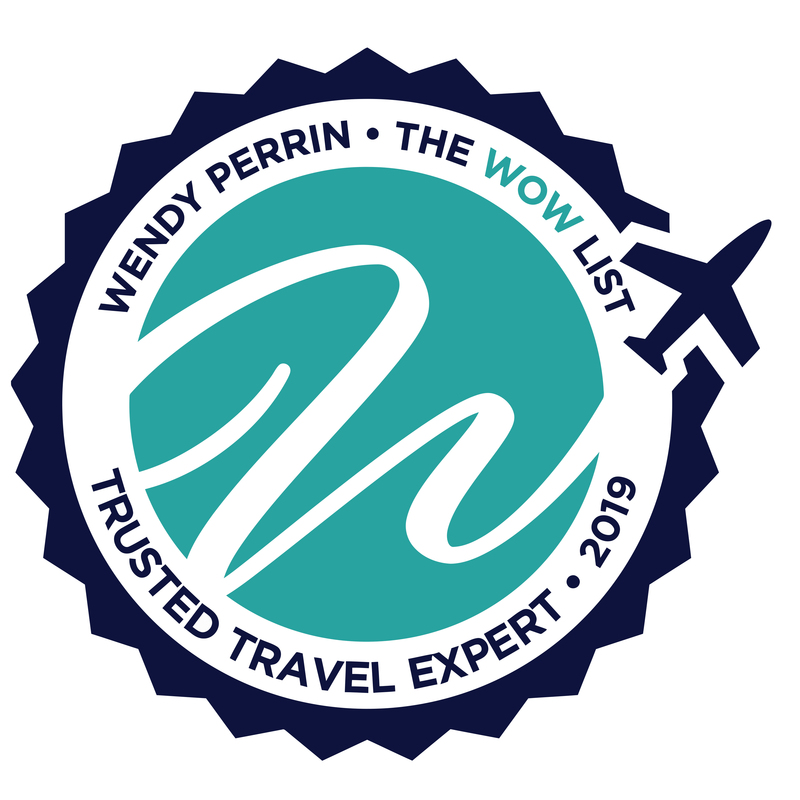 Jack Dancy and Michael Eloy are on Wendy’s WOW List of Trusted Travel Experts for their expertise and connections in France and Corsica. The reviews below are from real travelers who’ve taken trips that were arranged by Jack and Michael and monitored by Wendy. Don’t miss Jack and Michael’s Insider’s Guides to Paris for Food Lovers and Burgundy, France. There was some turnover during the planning of the trip, it was not a major issue but may have caused some slight delays in communication. We had gone back to Jack and his team because we so enjoyed working with Simon last year, this year felt a little less personal. Nothing bad, just a little less. We LOVE the hotel and restaurant recommendations in Paris, and in fact stayed and ate there two years in a row. One of the things that I find most valuable about using a TTE is the support on the ground. Our flight was 4 hrs delayed arriving in Paris, I emailed Marcello and by the time we landed she had notified the driver, and changed our restaurant reservation. It gives me great peace of mind to have that on the ground support. Another thing I find valuable about using a local expert is letting us know about things that we may not find on our own. One of the highlights of our trip was the Carrieres de Lumieres, and I don’t think I would have found it on my own. Great hotel choice in Arles. Also, we are very simple eaters and Jack’s team easily responded to my request to change the style of restaurants recommended. All in all, it was a great trip! Thinking Bordeaux for next fall. We just returned from a two week trip to France. In planning the trip with Jack Dancy and his team we explained we wanted to focus on wine, history, and culture. Jack put together a fantastic itinerary including stops in Paris, Champagne, Alsace, Burgundy, and the Loire River Valley. I cannot imagine a better, well-planned trip than what we experienced. Every detail of the trip from hotels, to drivers, to tour guides and meals was well thought out and exactly what we were looking for. Jack’s particular knowledge and experience with the wine guides in each region was especially helpful as they were the best we have ever used. With any trip, things came up along the way and the Trufflepig team immediately responded to every situation as it arose. We cannot recommend Jack and his team highly enough and wouldn’t think about making another trip to France without including them. Jack is one of your best travel experts we have ever used. He was great to work with pre-trip, recommended great guides, and was extremely responsive throughout the trip as we canceled dinner plans at the last minute several times. Before the trip, they sent our train tickets, their extremely detailed itinerary “Piglet” book, and two books on wine and wine history…no one has ever sent us books pre-trip! He and his team are one of your best and the reason we use your travel professionals whenever we travel. Thanks for a great recommendation. We’d tried, with no success, to get in on our own. Jack’s colleague Simon put together a fabulous French trip for my husband’s 70th birthday. We wanted to attend the annual Christie’s wine auction benefiting Hospices de Beaune, and knew we would need expert help as we’d tried, with no success, to get in on our own. Simon took care of everything for us. We were in a beautiful hotel (his pick), he got us lunch/dinner reservations in the most fabulous restaurants, and best of all he got us tickets to the wine auction and tickets to the incredible Dinner of the Dukes at Drouhin Cellars. And if that wasn’t enough, Simon set us up with a private guide to go to the Montrachet villages and have private tastings. Sublime! We ended our trip in Paris, and although we had told Simon the hotel and restaurants we wanted to visit, he set everything up and made sure the hotel knew it was a birthday trip. Everything was fabulous. We had great drivers picking us up and transporting us from airport to train station to hotel, and back. We had phone numbers at our fingertips in case anything was not right. All in all, we were taken care of beautifully and loved every minute of the trip. Thank you, Wendy Perrin, for introducing us to Jack and Simon. I recently traveled to Paris and Burgundy France with my 79-year-old Mom, my niece, a friend, a friend of my Moms and her daughter-in-law, ages ranging from 17 to 79. We were met at the airport by a wonderful driver who transported us to our hotel. Later in the trip, he took us to the train station, boarded the train with us and loaded our bags. He was the best! Simon on Jack’s team organized a wonderful blend of planned activities in Paris, with time for us to explore on our own with the help of walking guides that pointed out cafes, shops, and other points of interest. We toured the catacombs with a wonderful guide, Caroline, took a pastry cooking class (where I learned enough to make vanilla cream filled choux when I returned home), took a private cruise on the Seine. Restaurant reservations were appreciated, but we found that we were happiest with bread and cheese in our hotel so canceled most with no problem. The next portion of our trip was in Beaune. Simon arranged for private wine tasting – what an experience! We had the chance to chat with some of the premier winemakers in Burgundy. A walk from village to village through the wines with Laura taught us so much about the particular culture of winemaking in Burgundy. A day in Dijon was well spent. We traveled in November 2017 – not an ideal time weather wise, but great to not have to deal with crowds. We plan to travel to France again next November and will use Simon to help make it extra special. There were a couple of little glitches, eg., we had the wrong address for the cooking class, but there was always someone available on his team to help us out. It is such a luxury, without a luxury price, to have someone arrange for pickups, transfers, restaurants, hotels. We had a GREAT time! Jack’s colleague Simon was great, and pushed us out of our “normal” zone. We did things on this vacation we never would have done or known we could do (i.e. Fencing lesson, and kayaking down the Loire). His understanding of how we like to travel or hotels we like to stay in really showed. I loved all the hotels, and the locations of these hotels were perfect. I highly recommend Simon. Simon Aplin was a good listener and very responsive to questions and feedback as we planned the trip. Importantly, his feedback proved to be accurate. The hotel and restaurant bookings were interesting and varied but at a uniform quality level. The guides were consistently excellent. Suggestions for walks and places to visit were well thought out. The pace of the trip was reasonable given our time limitations. Simon took the trouble to meet us when we were in Beaune. The office staff in Canada were also very professional and responsive. A very good description of the trip would be “smooth and very fun.” We will definitely use them again if we decide to do another major trip in a place with which we are unfamiliar. I wanted to take my son on a World War II battlefield tour of Europe–we went to Normandy (US & British beaches, Pegasus Bridge, Pont du Hoc, St. Mere Eglise, German gun positions, US cemetery and other sites such as Bayeux Tapestry, Normandy Museum etc), Luxembourg Cemetery, Bastogne, Maginot Line, Verdun (WWI), Arnhem and Nijmegen, Dutch National Liberation Museum, a Dutch concentration camp, Munich, Nuremberg and Dachau. I contacted Wendy Perrin and she made the introduction to Jack and Simon. I explained we are history buffs and like to eat. Simon took care of everything–I cashed in some frequent flyer miles to get us to Europe and Simon took over from there. He arranged everything from pickup at the airport to all our hotels, transportation and most importantly guides. Simon also made reservations at restaurants for us but also left days where we had no reservations (he gave us some recommendations). He recommended excellent hotels and they were all in great locations where we could walk out of the hotel and walk to about 90% of all our restaurants. This allowed us to also see the local area. His guides were all excellent. They would pick us up from the hotel and double check what we wanted to see, make any changes (Nice flexibility which came in handy in Arnhem and Nijmegen as well as Munich) and go on from there. I did not want any tour cut short due to time and that never happened–we got to see everything we wanted (plus more) and there were a couple of really big surprises. You have to go to Fort de Fermont at the Maginot line which is outstanding–we had a private tour and it was fantastic. We wanted to see Nijmegen and the guide made an immediate adjustment and recommended the National Liberation Museum which was fantastic and got to meet and discuss with a gentleman who personally witnessed US paratroopers landing on his farm. Truly a wonderful experience and an honor. This was almost a 2-week trip and they provided all train tickets and sent them ahead of time to us. Any last minute tickets were given to us by our guides. Three of the hotels were 4 or 5-star properties. There was 1 hotel we choose as it was perfectly located but more “rustic”–we really needed just a roof over our head so it worked out well (in Metz)–it was 5 minutes walking to 30+ restaurants and was a great location to get to our other sites. Overall very pleased–was a trip of a lifetime. Simon provided a piglet (love the name) that had day by day, contact names, etc. So, in the end, we covered a lot of ground (France, Luxembourg, Belgium, Netherlands & Germany) but very doable. Our travel took place at end of July and ended middle of August. None of the sites were crowded (even though it’s holiday time in Europe). Simon recommended and made reservations at a number of restaurants and they were all excellent–we had flexibility (which we did a couple of nights) where we cancelled the reservation he had made (In Europe they hold that table no matter what so it’s a courtesy to do that) and tried Indonesian food in Amsterdam (try the rice table–its a multi course dish) and Italian food in Metz (yes–I know it’s France but there are some good restaurants that serve other nationalities besides French). If you are interested in WWII (and WWI) Simon and his team do a great job! When we landed in France, I realized I had left our three sets of train tickets at home. Simon was on a family vacation. It was a Saturday and Zoe was not in the office. They did provide an emergency number. Our driver that was taking us to the train station called the emergency number and resolved everything. It was excellent service!! Our guides in Bordeaux and Normandy were excellent. We learned so much! They did reserve the Jules Verne restaurant for us. I was delighted! In addition upon arriving home, Trufflepig sent flowers to welcome us home. What a surprise! Working with Simon was rewarding. He was very patient, as we had numerous emails and several conversations as to just what I and my family wanted to see. And of course, those plans changed quite a bit (at one point we thought of popping into Germany a bit, but eventually had to drop that as adding in too much). The “piglet” listing all destinations, hotels, suggested dining, and more importantly, providing every contact phone number and email one might need, was incredibly useful. He worked with us on hotels (amazing hotels), sights, and saw to it that every place we went to eat (and they were all amazing, food-wise) was informed of our dietary needs. And the guides on our guided tours were all wonderful. So, thumbs up! Wow. What a great experience. Simon helped create something really special for my son and I when we went to the Euro championships in July of 2016. He created a great mix of soccer, culture, and history spread across Paris, Lyon, and Marseille. 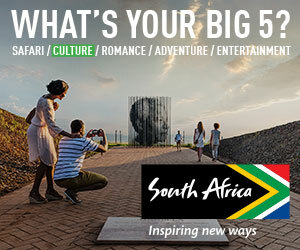 Simon found wonderful little side trips and great hotels that made every day a highlight and really captured a local feel. His attention to detail really made a difference. We were very pleased with all the arrangements and felt Jack and Simon listened to our wants and desires and filled them. We stayed in several centuries-old hotels that inspired awe. The restaurant line up was terrific. The guides and activities oriented around wine and food and were varied and interesting (we learned a lot about Burgundy wine and history), and delicious! In May 2016, we spent a couple of weeks on a road trip in France and Italy. Many of the arrangements were made by Simon Aplin on Jack’s team. Not all of them, since I have family in Paris and Milan, but in between those two cities, Simon planned a wonderful route for us. Before we left he had asked us in detail about our interests and preferences in order to tailor the trip to our tastes. After picking up the car in Paris, we toured the Côte d’Or for a few days. We then drove to Milan via Lac du Bourget in the French Alps, where we stayed in a wonderful old-world hotel with a view over the lake and a Michelin-starred restaurant. After Milan we spent several days in the Luberon area of Provence, where we visited small towns, restaurants and chateaux we’d never have known about if it hadn’t been for the ‘Piglet’. This is the comprehensive travel guide that Simon put together for us, with suggestions on routes, the local culture in each area, attractions, food, local manners and phrases to use. It was not only useful but frequently hilarious, and acted as our constant companion on the trip. Thanks for a great adventure, Simon! We worked with Jack Dancy for our trip from Normandy south to Toulouse in May. Our trip started with a little taxi glitch due to a strike, but we were directed to a different town and different rental company. Our accommodations were nice and the B&B owners were all excellent. Our restaurant reservations didn’t work out so well but the recommended restaurants were all top-notch. Jack and his colleague Simon Aplin planned a great trip to France for my wife and me. Our guide in Normandy was truly remarkable in his knowledge of, and love for, his subject, and the hotels in both Normandy and Paris were comfortable, well-located, and extremely warm and welcoming. We thoroughly enjoyed the entire crew of our barge in Provence, the Napoleon. The crew went out of their way to make us feel at home and catered to our every whim, including some things that probably weren’t on the schedule. By the time our week was over, we felt that we were leaving family behind. Although everyone on the boat did an exemplary job, two people in particular stood out. Robert, the chef, far exceeded my expectations (which were pretty high going in) for the creativity and variety of his menu selections; he was even able to accommodate my wife’s faux-vegetarian concerns with a great deal of originality. Louise, our tour guide, bus driver, and food and wine shopper, seemed to be everywhere and was more than capable of handling everything that was thrown at her. I have no doubt that if the captain had awoken one morning with a bad head, she would have driven the boat. In any case, it was an outstanding trip, and we appreciate Simon’s efforts on our behalf and his attention during the trip. We used Simon on Jack’s team to help to plan a driving trip from Normandy to Paris. From my very first email interaction, through the series of phone calls we had, he was prompt, efficient and thorough. He made sure to suggest a few “off the beaten path” experiences for us, as well as making sure we saw the important historical sites along the way. The guides he booked for us were outstanding! Simon is one of the reasons I never plan a trip without a WOW Expert. Jack Dancy was great to work with. He had a total knowledge of each market we visited, from Normandy to Loire to Bordeaux and arranged everything to our complete delight. I was especially pleased with the hotels he picked – fantastic roomy rooms so we never felt cramped while traveling. The guides he selected for us at our stops were top notch and spoke excellent English. Overall, this trip was a 10!! !